You may already be aware from my previous post that I rode 600km over 2 days recently to raise money for Good Return. However, what you may not realise is how important it was to have charged lights, phone and GPS for the 30 hours or so of riding time. When stumped with this problem it seemed like the best solution was to have a portable USB emergency charger (a battery that you carry with you to charge other batteries). 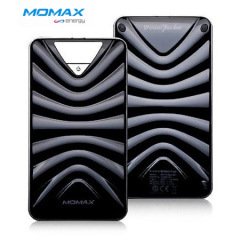 I found the Momax iPower 16800mAh External Battery Pack and decided to give it a go because it had one of the highest battery capacities (about 9 full iPhone charges). Not only did it really save me on the big ride, it has also been a useful device to travel around Europe with! Charging Suunto with Momax iPower while riding 600km audax. Soon enough into the ride I discovered that when running at full navigation capacity my GPS (the Suunto Ambit 2) needed to be charged really quickly. In this picture you can see how the charger is hooked up to my GPS watch so that it could charge while riding and not increase the time that I had to spend waiting at checkpoints. I could have the charger safely packed away while the Suunto was charging and being used. For a ride of this length the high capacity battery was an absolute must. However at almost half a kilo of extra weight it certainly adds to the load that you carry (every bit counts). This unusually high capacity will be very useful for VERY long rides but if you are doing ones shorter than 900-1200km then I would recommend something lighter. Aside from the weight, it was relatively small compared to other chargers of the came charging capacity (similar weight but only about half the size of the other competing devices). 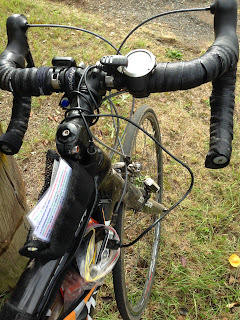 Having two separate USB ports came in handy when I ended up having the GPS plugged in for most of the ride. It allowed me to plug in my phone or a USB light for a while without needing to unplug the GPS. Them charger has also turned out to be very durable and lasts through the drop tests well! We’ve just finished a month of travelling and it’s been really nice to bring along with us to Europe. It’s allowed us to add extra charge to our devices while being or planes or trains that don’t always have charging capabilities (or charge you a pretty penny for it). All in all I definitely recommend the Momax iPower for those looking at the top end of the market for chargers with high capacity!